We ship everything USPS Priority. It typically takes 2-3 days for them to arrive depending on your distance from Denver, CO. The last day to order for guaranteed delivery before Christmas with standard Priority shipping is Wednesday, December 21st. We will be filling orders and taking them throughout the day, you must have your order in by 8 P.M. MST. We’re offering overnight shipping under the Priority Express shipping option when you check out. We will be filling orders until the post office closes on December 23rd, the last chance to send a Priority Express shipment in time for the 25th of December. We have moved our manufacturing and it is now entirely made in Colorado! 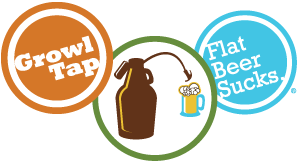 As this is the first year we cannot guarantee that we will have GrowlTaps available late in December.